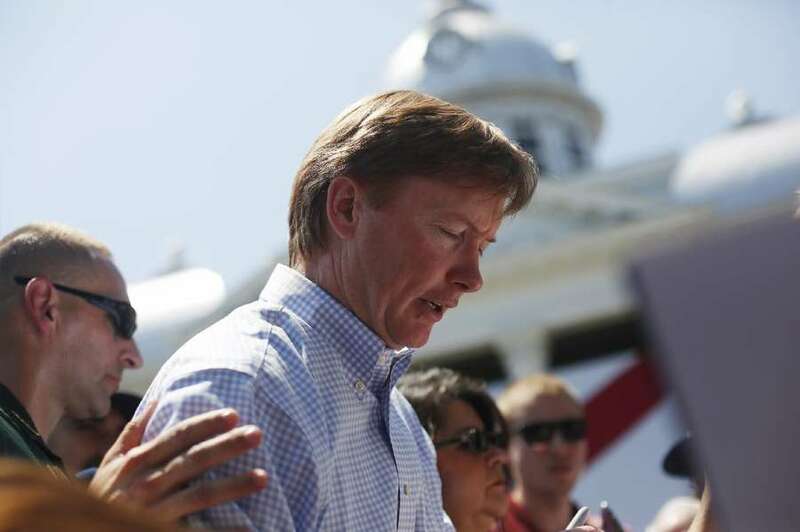 A year after an infamous tweet, Adam Putnam finds himself in the fight of his life. Florida Agriculture Commissioner Adam Putnam. Adam Putnam surprised even members of his own Republican party with his enthusiasm for gun rights and the National Rifle Association shortly after announcing his candidacy for Florida governor. Guns should be allowed on college campuses, Putnam said in a July 2017 Tallahassee speech, and maybe it's time for Florida to once again let people carry guns openly in public, too. A Tampa Bay Times column panned the speech. Its headline: "Adam Putnam sells out to the NRA." In a now infamous tweet — July 25, 2017 — Putnam, Florida's Commissioner of Agriculture, embraced a new title. "The liberal media recently called me a sellout to the NRA. I'm a proud #NRASellout!" The declaration was perhaps intended to put Putnam on firm ground in a Republican primary where support for the Second Amendment is mandatory. But a year later, Putnam finds himself in a dogfight with U.S. Rep. Ron DeSantis for the GOP nomination. And the tweet? It's not helping. One complication was the February shooting at a Parkland high school, one of the deadliest in Florida history. A gunman killed 17 students and injured 17 others with an AR-15 style rifle, prompting fresh calls for tighter gun restrictions. It brought another round of scrutiny for the NRA, and it dredged up a new round of condemnation for Putnam's tweet. Publix, one of Florida's most popular companies, was later caught in the ricochet. Parkland survivors turned student activists encouraged protesters to hold die-ins at Publix grocery stores across the state because of the company's six-figure campaign contributions to a "proud #NRASellout!" As a result, Publix said it would stop all contributions to political candidates. Even before the backlash, Putnam distanced himself from the "proud #NRASellout!" language at an April Palm Beach forum. Two months later, his campaign wouldn't say if he posted the tweet or if it came from his staff. Putnam said it was unfortunate that his tweet made him a target for gun-reform activists after Parkland. Attention must be paid, he said, on the mental health issues of the shooter. "I was conveying my support for law-abiding citizens being able to safely, responsibly exercise their Second Amendment rights," Putnam told the Times in June. "Only in the most, warped convoluted world can you conflate support for hunting and target practice and responsively exercising the Second Amendment with the monster at Parkland." Yet while Parkland came after Putnam's tweet, what came before has also prompted criticism. Prior to Parkland, Rep. Carlos Guillermo Smith confronted Putnam at an Orlando forum over his choice of words — "proud #NRASellout!" — just 13 months after the Pulse nightclub shooting in 2016. Guillermo Smith said Putnam's backtracking after Parkland only made it worse. "Why would Putnam be embarrassed to call himself an NRA sellout after 17 mostly white children were killed at Parkland," Guillermo Smith said, "but not after 49 mostly LGBT people of color were killed at Pulse? We are beyond offended and he's never answered that question." Yet a second issue has emerged that Putnam knew about before his tweet. As commissioner of agriculture and consumer affairs, Putnam oversees Florida's issuing of concealed carry permits. Media reports have revealed in the past two months that his office mishandled the review of applications for those permits. • In 2012, state investigators found that 48 employees under Putnam made mistakes while reviewing applications for licenses. • In 2016, Putnam's agency paid $30,000 to an ex-employee to settle a lawsuit where she claimed her bosses told her she "worked for the NRA" and there had been "gross misconduct" in the handling of applications. • In 2017, state investigators found that Putnam's agency failed to review results from a national background check for concealed weapons, an oversight that allowed 291 people to get a license to carry a concealed weapon in public who were supposed to be denied. Putnam's "proud #NRASellout!" tweet came just 50 days after the 2017 investigation was closed. DeSantis has questioned Putnam's competency and criticized what he said was a lack of transparency. But DeSantis' ascension in the polls has been boosted by another tweet — an endorsement from President Donald Trump — and he and his allies have more often attacked Putnam on immigration than his stewardship of gun permits. If Putnam manages to beat DeSantis in August, it's the Democrats who promise to make the tweet more of an issue. Take last Thursday in Orlando. At a routine campaign event to open a new office and announce Attorney General Pam Bondi's endorsement, Putnam was confronted by lingering doubts that his Department of Agriculture fully investigated its mishandling of concealed carry permits. Reporters asked Bondi if her office might conduct a probe. She said no, but outside, protesters gathered, some calling Putnam a "proud #NRASellout!" Earlier in the week, Gov. Rick Scott, a fellow Republican, said his office is "looking into" a call for further investigation from Sen. Linda Stewart, D-Orlando. 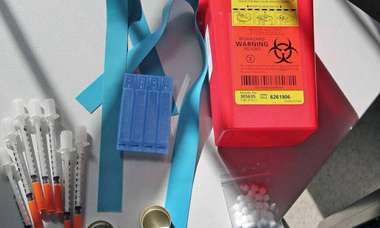 "They have to disclose what happened," Scott said. Even for gun-rights activists, reception to Putnam's tweet has been mixed. Sponsors of bills to legalize campus carry and bring back open carry were stunned to see Putnam's full throated endorsement of their ideas last July. 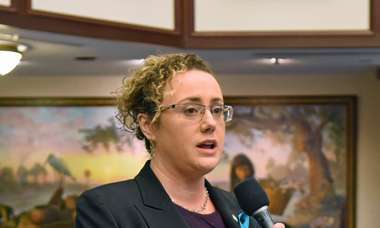 "Prior to that, I didn't know what his position was," Sen. Greg Steube, a Sarasota Republican and sponsor of open carry legislation, told the Times last year. Eric Friday, a gun-rights advocate with Florida Carry said he liked the tweet, but not what came next. In the aftermath of Parkland, lawmakers pulled Putnam's bill to further streamline concealed weapons permits without a fight from the agriculture commissioner. "He caved," Friday said. "The Second Amendment needs advocates to stand up even when it is painful or when there is an outcry and when it may not be popular."